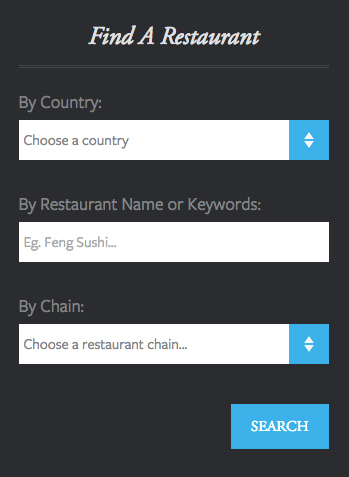 Fish2fork rates restaurants according to the impact their seafood has on the seas and marine life. We believe sustainability is a vital ingredient of good seafood. We review the fish served in restaurants in the UK, France, Spain, Belgium, the US and Switzerland. 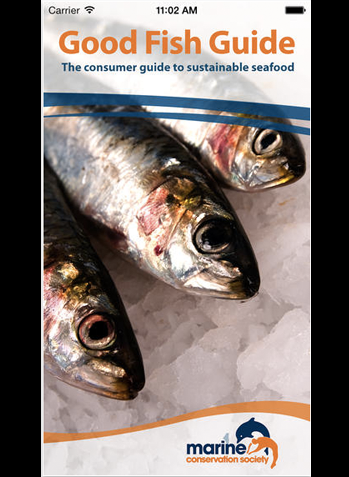 It’s the definitive guide to sustainable seafood for all consumers who want to make the right choice at the supermarket fish counter or at the fishmongers. Search by common fish name and you’ll get all the information from the Marine Conservation Society's Good Fish Guide right there - both at a glance, and in full detail if you need it. This handy App explains the MCS traffic light ratings systems so you know exactly what you can and can’t eat, and the fish that you should eat only occasionally. Don’t get confused when buying fish - make every choice a sustainable one with the MCS Good Fish Guide App. Get free app for iPhone or Android. 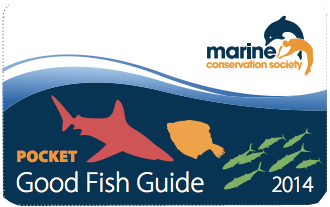 The Marine Conservation Society’s Pocket Good Fish Guide puts YOU in control. You can safeguard and help the future of our fisheries and other marine wildlife, by only choosing fish from sustainable sources. The Pocket Good Fish Guide lists which fish are the best sustainable choice, fish you should avoid completely, and the fish you can eat just occasionally, to limit pressure on stocks. Check the table inside for the fish you want to buy or eat. Make sure you avoid eating fish in the red list, enjoy eating fish in the green list and only occasionally eat fish from the amber list.